Acoustic Fingerprint - An acoustic fingerprint is a condensed digital summary, deterministically generated from an audio signal, that can be used to identify an audio sample or quickly locate similar items in an audio database. Practical uses of acoustic fingerprinting include identifying songs, melodies, tunes, or advertisements; sound effect library management; and video file identification. Media identification using acoustic fingerprints can be used to monitor the use of specific musical works and performances on radio broadcast, records, CDs and peer-to-peer networks. This identification has been used in copyright compliance, licensing, and other monetization schemes. ACTA Archive - On the the first anniversary (4 July 2013) of the rejection of the Anti-Counterfeiting Trade Agreement (ACTA) in the European Parliament, EDRi gathers of all ddocuments that have ever been produced by EDRi to recall who were the stakeholders involved in the negotiation process within the EP and the NGOs who fought along with EDRi against ACTA. Article 1, Section 8, Clause 8 - U.S. Constitution Copyright Clause. Berne Convention for the Protection of Literary and Artistic Works (Berne Convention) - An international agreement governing copyright, which was first accepted in Berne, Switzerland in 1886. The Berne Convention (full text here - original and as amended thru the years) was developed at the instigation of Victor Hugo of the Association Litteraire et Artistique Internationale. Thus it was influenced by the French "right of the author" (droit d'auteur), which contrasts with the Anglo-Saxon concept of copyright which only dealt with economic concerns. Under the Convention, copyrights for creative works are automatically in force upon their creation without being asserted or declared. Center for Copyright Information - Formed as part of a collaborative effort between U.S. content creators in the movie and music industries and leading IPSs to help educate the public and deter copyright infringement and offer information about legal content options and protecting personal computers from unintentional file sharing through P2P networks. Also see Wikipeida article. Centre for Intellectual Property and Information Law (CIPIL-UK) - Exists to foster the study of all aspects of intellectual property law and information law and associated subjects. It organises conferences, seminars and visiting lectures, undertakes research and collects material in these expanding and controversial fields. Also see The Gowers Review of Intellectual Property and The Review of the Economic Evidence Relating to an Extension of the Term of Copyright in Sound Recordings. Center for the Study of Public Domain (CSPD) - The CSPD at Duke Law School promotes research and scholarship on the contributions of the public domain to speech, culture, science and innovation, to promote debate about the balance needed in the U.S. intellectual property system and to translate academic research into public policy solutions. Chilling Effects - A site that collects "cease and desist" notices and provides background on the intellectual property issues involved. Copyright: An Overview - Introduction to U.S. federal and internationl resources presented by Cornell Law School. Copyright and Fair Use - Stanford University Libraries - Primary materials, current legislation, cases, issues, links to Internet resources. Copyright and Intellectual Property Rights and Licensing Issues - The Berkeley Digital Library Sunsite manages these copyright links. Copyright Clearance Center (CCC) / Copyright - CCC provides licensing systems for the reproduction and distribution of copyrighted materials in print and electronic formats throughout the world. CCC manages the rights to over 1.75 million works and represents more than 9,600 publishers and hundreds of thousands of authors and other creators. The company's streamlined, convenient compliance solutions enable more than 10,000 corporations and subsidiaries, including most of the Fortune 100, and thousands of government agencies, law firms, document suppliers, libraries, academic institutions, copy shops and bookstores to respect the rights of copyright holders and lawfully reuse the copyright-protected information they need to drive their business. Copyright Crash Course - Learn about ownership of copyrighted materials, fair use, and how to get permission to use someone else's work. Copyright, Designs and Patents Act 1988 (UK) - Full text. Copyright for Music Librarians - Resources provided by the Music Library Association. Copyright Law in the U.S. - A discussion of copyright law in the U.S. provided by BitLaw. Copyright Law of the United States of America and Related Laws Contained in Title 17 of the U.S. Code - From the Library of Congress. Copyright Renewal Act of 1992 - Bill summary, status, full text. Copyright Renewal Database (Stanford) - This database makes searchable the copyright renewal records received by the U.S. Copyright Office between 1950 and 1993 for books published in the US between 1923 and 1963. Note that the database includes only US Class A (book) renewals. The period from 1923-1963 is of special interest for US copyrights, as works published after January 1, 1964 had their copyrights automatically renewed by the 1976 Copyright Act, and works published before 1923 have generally fallen into the public domain. Between those dates, a renewal registration was required to prevent the expiration of copyright, however determining whether a work's registration has been renewed is a challenge. Renewals received by the Copyright Office after 1977 are searchable in an online database, but renewals received between 1950 and 1977 were announced and distributed only in a semi-annual print publication. The Copyright Office does not have a machine-searchable source for this renewal information, and the only public access is through the card catalog in their DC offices. Copyright Royalty Board - The Copyright Royalty Board of the Library of Congress administers various statutory copyright licenses. Copyright Search - Search copyright information. Copyright Term Extension Act (CTEA) - Full text. Copyright Timeline: A History of Copyright in the U.S. - Since the Statute of Anne almost three hundred years ago, U.S. law has been revised to broaden the scope of copyright, to change the term of copyright protection, and to address new technologies. For several years, the U.S. has considered and acted on copyright reform. Information provided by the Association of Research Libraries. Copyright Website - Copyright information of interest to infonauts, netsurfers, webspinners, content providers, musicians, appropriationists, activists, infringers, outlaws, and law abiding citizens. Creative Commons - Creative Commons has developed a Web application that helps people dedicate their creative works (websites, scholarship, music, film, photography, literature, courseware) to the public domain -- or retain their copyright while licensing them as free for certain uses, on certain conditions. DefectiveByDesign - A broad-based anti-Digital Rights Management campaign that is targeting big media, unhelpful manufacturers and DRM distributors. The campaign aims to make all manufacturers wary about bringing their DRM-enabled products to market. DRM products have features built-in that restrict what jobs they can do. These products have been intentionally crippled from the users' perspective, and are therefore "defective by design". This campaign will identify these "defective" products, and target them for elimination. Digital Millenium Copyright Act of 1998 [.pdf] - A complex piece of legislation which makes major changes in U.S. copyright law to address the digitally networked environment. The President is expected to sign the DMCA shortly. This memorandum discusses the law's five titles which: (1) implement the WIPO Internet Treaties; (2) establish safe harbors for online service providers; (3) permit temporary copies of programs during the performance of computer maintenance; (4) make miscellaneous amendments to the Copyright Act, including amendments which facilitate Internet broadcasting; and (5) create sui generis protection for boat hull designs. Digital Millennium Copyright Act (DMCA) Study - On October 28, 1998, H.R. 2281, the Digital Millennium Copyright Act (DMCA), was enacted into law. Section 104 of the DMCA directs the Register of Copyrights and the Assistant Secretary of Commerce for Communications and Information to prepare a report for the Congress examining the effects of the amendments made by title 1 of the DMCA and the development of electronic commerce on the operation of sections 109 and 117 of title 17, United States Code, and the relationship between existing and emerging technology and the operation of such sections. Eldred v. Ashcroft - The official site for the folks fighting the Sonny Bono Act in the Supreme Court. Mostly for legal types, but the links section has a lot of good stuff. Electronic Frontier Foundation (EFF) - An organization dedicated to protecting civil liberties as they relate to technology. European Digital Rights (EDRi) - Members of European Digital Rights have joined forces to defend civil rights in the information society. The need for cooperation among organizations active in Europe is increasing as more regulation regarding the internet, copyright and privacy is originating from European institutions, or from International institutions with strong impact in Europe. Federal Register Notices - The U.S. Copyright Office issues announcements, rules, proposed rules, and other notices in the Federal Register, an official U.S. government publication published daily by the National Archives and Records Administration. This page contains U.S. Copyright Office notices published from 1993 to present. Finding Copyrights and Trademarks for Free - A surprising number of free databases containing information related to copyrights exists. Many serve highly specific needs. For example, performing rights organizations, or groups that license the works of songwriters and music publishers, often make available databases of the copyrighted songs they license. Finding the Public Domain: Copyright Review Management System Toolkit - Working over a span of nearly eight years, the University of Michigan Library received three grants from the Institute of Museum and Library Services (IMLS) to generously fund CRMS, a cooperative effort by partner research libraries to identify books in the public domain in HathiTrust. The Toolkit is a resource that aims to allow others to understand and replicate the work done by CRMS. Free as in speech and beer - Online book from Darren Wershler-Henry on open source, peer-to-peer, and the economics of the online revolution. "Increasingly, people are coming to the conclusion that the death of intellectual property as we know it is a good and laudable turn of events, that software and other types of intellectual property should be free - free as in "speech," free as in "beer," and sometimes free as in speech and beer." Future of Copyright - A platform for news and discussion about the future of copyright in the information society. Google Book Search Copyright Settlement - The purpose of this website is to inform you of a proposed Settlement of a class action lawsuit brought by authors and publishers, claiming that Google had violated their copyrights and those of other Rightsholders of Books and Inserts, by scanning their books, creating an electronic database and displaying short excerpts without the permission of the copyright holders. Google denied the claims. The lawsuit is entitled The Authors Guild, Inc., et al. v. Google Inc., Case No. 05 CV 8136 (S.D.N.Y.). Also see Future of Google Book Search. History of Copyright - Homepage of book The History of Copyright: A Critical Overview With Source Texts in Five Languages by Karl-Erik Tallmo. In Re Literary Works in Electronic Databases Litigation - This is the homepage for the in re literary works in electronic databases copyright litigation, a case brought on behalf of freelance authors of literary works that were reproduced on electronic databases without the author's permission. Kahle v. Gonzales Case Page - In this case, two archives ask the U.S. District Court for the Northern District of California to hold that statutes that extended copyright terms unconditionally - the Copyright Renewal Act and the Copyright Term Extension Act (CTEA) - are unconstitutional under the Free Speech Clause of the First Amendment, and that the Copyright Renewal Act and CTEA together create an "effectively perpetual" term with respect to works first published after January 1, 1964 and before January 1, 1978, in violation of the Constitution's Limited Times and Promote...Progress Clauses (Article I, Section 8). The complaint asks the court for a declaratory judgment that copyright restrictions on orphaned works - works whose copyright has not expired but which are no longer available - violate the constitution. La Quadrature du Net - Proposes to recognize a right to share digitally published works without aim of profit between individuals and to put in place a new flat-rate societal funding of creation of digital works and reward for their usage. Equally important are input given to the European and International institutions on the future of the copyright legal framework, directly or through its signature of the Public Domain Manifesto and the Charter for Creativity, Innovation and Access to Knowledge. Lawrence Lessig - The acclaimed Stanford Law School professor and intellectual property expert. Library Copyright Alliance (LCA)- Content and resources found on this site reflect the voice of LCA and its members on copyright and related intellectual property laws and treaties, nationally and internationally. Intellectual property laws are currently undergoing major changes in response to the growth in the use of digital formats for works. LCA members include the American Library Association, the Association of Research Libraries, and the Association of College and Research Libraries. Open and Shut - Richard Poynder's blog on the Open Access (OA) movement. Opposing Copyright Extension - A forum on Congress's extension of the term of copyright protection and for promoting the public domain. Public Knowledge is a public-interest advocacy organization dedicated to fortifying and defending a vibrant information commons. The Washington, D.C. based group works with wide spectrum of stakeholders - libraries, educators, scientists, artists, musicians, journalists, consumers, software programmers, civic groups and enlightened businesses - to promote the conviction that openness, access, and the capacity to create and compete must be given new embodiment in the digital age. Public Domain -In just about every country, authors can put a work in the public domain by formally declaring they are doing so. But most books enter the public domain either because they are not copyrightable (e.g., certain government documents), or because their copyrights expire. Also see Wikipedia article on Public Domain. Public Index - A site to study and discuss the proposed Google Book Search settlement. Annotate the settlement, section-by-section or browse its collection of related legal documents. Public Knowledge - A public-interest advocacy organization dedicated to fortifying and defending a vibrant "information commons." This Washington, D.C. based group speaks in a single voice for a wide spectrum of stakeholders - libraries, educators, scientists, artists, musicians, journalists, consumers, software programmers, civic groups and enlightened businesses. QuestionCopyright.com (QCo) - Founded to spread awareness of how today's copyright system hurts artists and audiences alike, and shackles the Internet to a distribution model designed around the limitations of the printing press. Better systems are possible, but they can only receive fair consideration if we first understand where copyright comes from and what it actually does. Rates and Terms for Statutory License for Eligible Nonsubscription Services to Perform Sound Recordings Publicly by Means of Digital Audio Transmissions ("Webcasting") and to Make Ephemeral Recordings of Sound Recordings - Latest developments in webcasting rates -- provided by U.S. Copyright Office. Search Copyright Office Records - Search copyright information provided by the Copyright Office, Reference & Bibliography Section. Semiconductor Chip Protection Act of 1984 (17 U.S.C. § 901) - At Cornell Law School's LII. Ultimate Guide to Copyright - In-depth guide to everything copyright, including US and EU law, fair-use, DMCA and info specific to online publishers. UK Patent Office - Responsible for intellectual property (copyright, designs, patents and trademarks) in the UK. U.S. Code, Title 17 - Published by the U.S. Copyright Office, Library of Congress. Copyright law of the U.S.
U.S. Copyright Office - Informational circulars; application forms for copyright registration; links to the home pages of other copyright-related organizations; news of what the Office is doing, Congressional testimony and press releases; latest regulations; copyright records cataloged since 1978. VEGAP - A non-profit organisation that represents more than one hundred thousand authors from all over the world in Spain. Author´s rights of VEGAP members are managed not only in EU countries but also in countries from other continents such as Argentina, Brazil, Canada, United States, Mexico, Australia, Korea and Japan, among others. The organisation that manages the author´s rights of painters, sculptors, photographers, illustrators, designers, video artists, net artists and architects-the visual creators. Vessel Hull Design Protection Act (17 U.S.C. § 130) - At Cornell Law School's LII. Washington D.C. Principles for Free Access to Science - On March 16, 2004 representatives from the nation's leading not-for-profit medical/scientific societies and publishers announced their commitment to providing free access and wide dissemination of published research findings. The Washington D.C. Principles for Free Access to Science outlines the commitment of not-for-profit publishers to work in partnership with scholarly communities such as libraries to "ensure that these communities are sustained, science is advanced, research meets the highest standards and patient care is enhanced with accurate and timely information. WorldWideOCR Online Creator's Registry - Apply a SEAL file date-stamp to protect copyrights on your scripts, songs, ideas, documents, music. WorldWide OCR is helping writers, artists, photographers and inventors affordably protect and archive their copyrights and intellectual property online. Writers, Artists, and Their Copyright Holders (WATCH) - A database containing primarily, but not exclusively, the names and addresses of copyright holders or contact persons for authors and artists whose archives are housed, in whole or in part, in libraries and archives in North America and the United Kingdom. The objective in making the database available is to provide to scholars information about whom to contact for permission to publish text and images that still enjoy copyright protection. AHRB Research Centre for Studies in Intellectual Property and Technology Law - The Centre is undertaking a five-year study of personality rights. This is a comparative analysis of the measures instituted in a variety of jurisdictions to protect different aspects of the human personality, such as image, identity, personal privacy, dignity and related economic interests. As part of this project, co-directors have devised a series of case studies, the purpose being to discover not only if there is a commonality in the ethic underlying the protection of personality, but also to ascertain at what level the public interest might operate to restrict or define the scope of the rights. Center for Regulatory Fairness: Patent, Trademark, Copyright, and Intellectual Property - Links to intellectual property laws and regulations. Chilling Effects Clearinghouse - A joint project of the Electronic Frontier Foundation and Harvard, Stanford, Berkeley, and University of San Francisco law school clinics. these pages will help you understand the protections intellectual property laws and the First Amendment give to your online activities. CMG Worldwide - Represents the families and estates of deceased celebrities. Today, CMG Worldwide represents over 400 diverse personalities and corporate clients in the sports, entertainment, and music fields. representing the families and estates of deceased celebrities. Entertainment clients include the families of legends such as Marilyn Monroe, James Dean, Humphrey Bogart, Ingrid Bergman, Bette Davis, Sophia Loren, Rock Hudson, Bettie Page and Lana Turner. In addition, CMG represents many internationally acclaimed musicians including Duke Ellington, Chuck Berry, Billie Holiday, Hank Williams, Sr., Don McLean, and Buddy Holly, and prestigious corporate accounts like I Love New York. Historical clients include the late civil rights leader Malcolm X, Amelia Earhart, Lee Strasberg, Mark Twain, and legendary architect Frank Lloyd Wright. Code of Federal Regulations, Title 37: Patents, Trademarks and Copyrights - From the U.S. Government Printing Office via GPO Access. Commission on Intellectual Property Rights - The Commission was set up by the British government to look at how intellectual property rights might work better for poor people and developing countries. The first Commission meeting was in London on the 8th-9th May 2001, and the final report was published on 12th September 2002. Customs Enforcement of Intellectual Property Rights - Frequently Asked Questions - EU site. DialogIP - Intellectual property records search service. Review worldwide patent, trademark, and copyright developments. View online patent images, as well as news on litigation, settlements, and intellectual property regulations. Sources include Derwent World Patents Index, specialty patent files, such as INPADOC, European Patents Fulltext, and the extensive TRADEMARKSCAN collection from Thomson & Thomson. EFF Intellectual Property Video and DVD Archive - U-to-date news, links, bulletins on intellectual property law affecting video and DVD. Findlaw IP Index - Intellectual property resources, journals, law and government documents, agencies, mailing lists, news. Foundation for Information Policy Research (FIPR) - An independent body studying the interaction between information technology and society. Its goal is to identify technical developments with significant social impact, commission and undertake research into public policy alternatives, and promote public understanding and dialogue between technologists and policy-makers in the UK and Europe. E.g., see the UK implementation of the EU Copyright Directive page. Hieros Gamos Intellectual Property Law Guide - Focus is on regulation of intangible rights regarding ideas and tangible rights to use particular trademarks, patents and copyrights to produce goods and services. InfoJustice - Blogging about issues related to international intellectual property, open access initiatives, and efforts to expand access to knowledge-based goods. The site also contains pointers to legislation, trade agreements, and other original documents. Intellectual Property and the National Information Infrastructure Report - Explains how intellectual property law applies to cyberspace. Makes legislative recommendations to Congress to fine tune law for the digital age. Intellectual Property Law Section of State Bar of California - Open to attorneys, law students, and all others interested in IP, including paralegals, inventors, authors, developers and business professionals. Intellectual Property Law Server - Provides information about intellectual property law including patent, trademark and copyright. Resources include comprehensive links, general information, space for professionals to publish articles and forums for discussing related issues. Intellectual Property on the Internet: A Survey of Issues - A report from WIPO that addresses the far-reaching impact that digital technologies - the Internet in particular - have had on intellectual property (IP) and the international IP system. Intellectual Property Rights Helpdesk - The Helpline service of the European IPR Helpdesk provides professional advice to your specific IP or IPR query - customized, straight-forwardly, comprehensibly and free of charge. Intellectual Property Society - Working to increase public awareness of, and participation in, the evolution of intellectual property rights and emerging technologies. 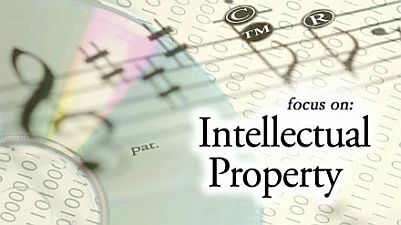 Intellectual Property Theft - U.S. Bureau of Justice Statistics presents statistics on both criminal and civil enforcement of Federal intellectual property laws for 1994-2002. Criminal intellectual property theft offenses include copyright and trademark infringement and theft of trade secrets. Civil intellectual property suits include copyright, trademark, and patent infringement. Intellectual Property Today - Focused on issues in intellectual property (patent, trademark and copyright) law. IP Justice - An international civil liberties organization that promotes balanced intellectual property law. IP Insider - Intellectual property news and issues. 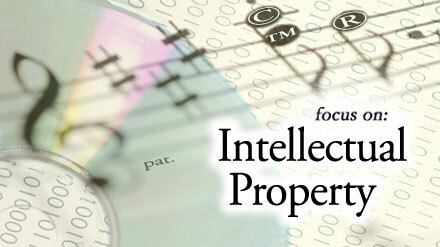 IP Links - Intellectual property sites compiled by Dr. Karl Rackette. KuesterLaw Technology Law Resources - Technology law information, especially including patent, copyright and trademark law. MicroPatent - A global leader in the production and distribution of patent and trademark information. Nolo Encyclopedia: Patent, Copyright & Trademark Center - From protecting your inventions, ideas, and product names to public domain and fair use rules, you can find basic information on intellectual property here. Patent, Trademark and Copyright Journal - BNA journal providing news of the most important intellectual property cases, statutes, trends, and other key developments in all areas of the law. Patent and Trademark Depository Library Association (PTDLA) - The objectives of the PTDLA are to discover the interests, needs, opinions, and goals of the Patent and Trademark Depository Libraries (PTDLs), and to advise the United States Patent and Trademark Office (PTO) in these matters for the benefit of PTDLs and their users, and to assist the PTO in planning and implementing appropriate services. Public Knowledge - A public-interest advocacy organization dedicated to fortifying and defending a vibrant "information commons" - the shared information resources and cultural assets that we own as a people. Researching Intellectual Property Law In the Russian Federation - This research guide is intended to assist its users with research of Russian intellectual property law by a) describing the primary sources of intellectual property law in the Russian Federation; and b) listing a number of secondary sources that interpret and comment on intellectual property law in the Russian Federation. Source Law Index - Source materials for the practice of intellectual property law. Provided by BitLaw. Trade Secrets Home Page - Comprehensive source for trade secret information on the web. United States Code - At Cornell Law School's LII. United States Constitution - At Cornell Law School's LII. World Intellectual Property Organization (WIPO) - A specialized agency of the United Nations dedicated to developing a balanced and accessible international intellectual property system, which rewards creativity, stimulates innovation and contributes to economic development while safeguarding the public interest. See WIPO - An Overview or WIPO Help Desk. Access Copyright - A Canadian "member guided" copyright licensing agency. However, it does not register copyright. For information on how to register copyright in Canada, contact the Canadian Intellectual Property Office at 1-866-997-1936. American Society of Composers, Authors and Publishers (ASCAP) - A membership association of over 80,000 composers, songwriters, lyricists and music publishers. ASCAP protects the rights of its members by licensing and paying royalties for the public performance of their copyrighted works. Copyright Clearance Center - Largest licenser of photocopy reproduction rights in the world. Motion Picture Licensing Corporation - Independent copyright licensing service exclusively authorized by major Hollywood motion picture studios and independent producers to grant umbrella licenses to non-profit groups, businesses and government organizations for the public performances of home videocassettes and videodiscs. PRS for Music (U.K.) - Represents its members' mechanical rights whenever a piece of music is reproduced for broadcast or online. Royalty-free.tv - Provides means for new writers to distribute their music, as royalty free music. Royalty-free.tv acts in effect as an agency for writers, and it costs the composers on this site nothing at all to use this facility. Warner Chappell Music - Warner Music Group is home to a collection of the best-known record labels in the music industry including Asylum, Atlantic, Bad Boy, Cordless, East West, Elektra, Nonesuch, Reprise, Rhino, Roadrunner, Rykodisc, Sire, Warner Bros. and Word. Warner Music International, a leading company in national and international repertoire, operates through numerous international affiliates and licensees in more than 50 countries. Warner Music Group also includes Warner/Chappell Music, one of the world's leading music publishers, with a catalog of more than one million copyrights worldwide. American Bar Association: Intellectual Property Section - The Section is the world's largest intellectual property organization, having over 20,000 members. Artists Rights Society (ARS) - Appointed in 1986 by the French copyright societies for visual artists to represent the intellectual property interests of their members within the U.S.
Canadian Intellectual Property Office - Responsible for the administration and processing of the greater part of intellectual property in Canada. Intellectual Property Owners Association (IPO) - Established in 1972, IPO a trade association for owners of patents, trademarks, copyrights and trade secrets. IPO is the only association in the U.S. that serves all intellectual property owners in all industries and all fields of technology. Internet Corporation for Assigned Names and Numbers (ICANN) - Nonprofit corporation formed to assume responsibility for the IP address space allocation, protocol parameter assignment, domain name system management, and root server system management functions previously performed under U.S. Government contract by IANA and other entities. Licensing Executives Society - An association of 32 national and regional societies, each composed of men and women who have an interest in the transfer of technology, or licensing of intellectual property rights - from technical know how and patented inventions to software, copyright and trademarks. National Intellectual Property Researchers Association (NIPRA) - Dedicated to the betterment of the United States Patent and Trademark system, and in particular, to improving the ability of Members to provide services essential to the greater Intellectual Property Community. National Music Publishers Association (NMPA) - Representing more than 600 American music publishers, NMPA interprets copyright law, educates the public about licensing, and safeguards the interests of its members. U.S. Patent and Trademark Office (USPTO) - Through the issuance of patents the USPTO provides incentives to invent, invest in, and disclose new technology worldwide. World Intellectual Property Organization (WIPO) - Intergovernmental United Nations organization headquartered in Geneva. WIPO protects intellectual property throughout the world through cooperation among States and administers various multilateral treaties dealing with the legal and administrative aspects of intellectual property. World Trade Organization (WTO): TRIPS - WTO concerns itself with the global rules of trade between nations. TRIPS (trade-related aspects of intellectual property rights), information on intellectual property in the WTO, and news and official records of the activities of the TRIPS Council. The TRIPS Agreement is Annex 1C of the Marrakesh Agreement Establishing the World Trade Organization, signed in Marrakesh, Morocco on 15 April 1994. See Agreement on Trade-Related Aspects of Intellectual Property Rights. Blawg IT - Patent, trademark and copyright issues blog with patent attorney Brett Trout. Canada Patents Database - This database lets you access 146 years of patent descriptions and images. You can search, retrieve and study more than 2,220,000 patent documents. Cooperative Patent Classification (CPC) - A joint partnership between the United States Patent and Trademark Office (USPTO) and the European Patent Office (EPO) where the Offices have agreed to harmonize their existing classification systems (European Classification and United States Patent Classification respectively) and migrate towards a common classification scheme. Delphion Intellectual Property Network - Lets you search, retrieve and study nearly four million patent and patent application documents. Also see: Delphion's Gallery of Obscure Patents. DEPATISnet - German patents database. European Patent Office: EPO Online Services - Online European patent register. FedCirc.us - A platform for several informational products that will allow patent professionals to incorporate the latest caselaw into their daily practice. FFII: Software Patents in Europe - For the last few years the European Patent Office (EPO) has, contrary to the letter and spirit of the existing law, granted more than 30000 patents on computer-implemented rules of organisation and calculation (programs for computers). Now Europe's patent movement is pressing to consolidate this practise by writing a new law. Europe's programmers and citizens are facing considerable risks. Here you find the basic documentation, starting from a short overview and the latest news. FreshPatents - The latest published U.S. patent applications each week before the USPTO decision to grant/deny. Free patent monitoring. Google Patents - With Google Patents, you can search and read the full text of patent grants and applications from around the world. If you're looking for prior art, you can use the integrated Prior Art Finder tool and Google Scholar documents to find patent and non-patent prior art, all in one interface. You can still access the old Google Patents and the Prior Art Finder. Index to Manual of Classification of Patents - The Manual of Classification has over 400 classes. This site provides an index to the Classification where you can determine the class/subclass of your idea by searching keywords, then retreive all of the patent titles in that class/subclass. Intellogist - Blog on patent searching produced by a team of patent information professionals who work for Landon IP. International Patent Cooperation Union - Every State party to the Patent Cooperation Treaty is a member of the Assembly. Internet Patent News - Daily email news service covering patent, technology and economic issues. InventNET - International inventors organization. IP - IP.com's Disclosure Database gives companies a fast, effective tool for releasing innovation into the public domain. The Disclosure Database is geared toward corporations, as well as individual inventors, that need fast, reliable, and cost-effective publishing means. Ius Mentis: Patents - A patent is the exclusive right to make, use or sell an invention in a country. This invention can be a product or a method of making a product, although since recently also methods of doing business and computer programs can be patented. In order to get this right, the inventor must apply for a patent at his patent office. He must fully disclose how the invention works and how it can be constructed and applied. This allows (at least in theory) others to make use of the invention. In return for his disclosure, the inventor gets the exclusive rights for (typically) 20 years after applying for the patent. Japan Patent Office - Oversees Japan's system of industrial property rights (i.e., its system for patents, new utility models, designs and trademarks). Japan Patent Office: Industrial Property Digital Library (JPO IPDL) - Provides access to IP Gazettes of the JPO free of charge through the Internet. Manual of Patent Examining Procedure (MPEP) - The entire MPEP Edition 7 Revision 1 text is available for viewing and downloading at this USPTO page. Patent Cafe - Patent Cafe Magazine, patent and non-patent prior art resources, listings of professional service providers, software and patent practice resources, technology transfer, technology business development. Patent Cooperation Treaty (PCT) - The states party to this treaty constitute a union for cooperation in the filing, searching, and examination of applications for the protection of inventions, and for rendering special technical services. The union is known as the International Patent Cooperation Union. Done at Washington on June 19, 1970, amended on October 2, 1979, and modified on February 3, 1984. Patent Information Users Group, Inc. (PIUG) - A not-for-profit organization for individuals having a professional, scientific or technical interest in patent information. Encourages the development of patent information research and analysis systems, to further develop members' patent research and analysis skills, and to provide appropriate recognition for its members excelling in the field. Patent Law Firms, Patent Attorneys, Patent Agents Directory - Directory of patent law firms, patent attorneys, patent agents, and other intellectual property law practitioners. PatentLawLinks - Case law, worldwide patent office sites, patent search engines, patent drawing services, journals, legal document templates, patent law firms. Patent Laws (.pdf, 84 pp.) - United States Code Title 35. Patent Rules (.pdf, 328 pp.) - Consolidated patent rules: Title 37 - Code of Federal Regulations Patents, Trademarks and Copyright. Patents and Trademark Law - A discussion of patents and trademark law from BitLaw. Also see Software Patents. Patently Absurd - People patent some pretty weird and wacky ideas. Also, visit the atuhor's links to serious information about patents. PatentBuddy - Patent search and analytics. PatentFreedom - A leading authority on the activities, techniques, staff, funding, and patent holdings of non-practicing entities (NPEs), sometimes called patent trolls. Offer subscriptions to operating companies and law firms seeking to manage NPE risk more effectively. PTO Today - Magazine of the U.S. Patent and Tradmark Office. Public Patent Foundation (PUBPAT) - Works to strengthen the patent system by introducing a healthy amount of non-patentee input to help the system achieve high quality and balanced policies. At its core, our work is based on the fundamental concept of protecting freedom from illegitimate restraint. Software Patent Institute (SPI) - A nonprofit corporation formed to provide courses and prior art about software technology to help improve the patent process. Thomson Compumark - Provides trademark screening, global trademark searching and trademark watching services to IP Professionals worldwide. U.S. Patent and Trademark Office (USPTO) - Through the issuance of patents the USPTO provides incentives to invent, invest in, and disclose new technology worldwide. Also see, USPTO Web Patent Databases and Inventors Resources. U.S. Patent Database Search - Provides full image access to all U.S.-granted patents back to 1790, with full-text searching back to 1976 and the full-text of published applications. The database also enables searching for references, which can include articles, reports, and proceedings. United States Patent Law - At Cornell Law School's LII. Unifed Patent Court (UPC) - The Agreement on the Unified Patent Court, signed by 24 EU Member States on 19 February 2013, created a specialised patent court (Unified Patent Court or UPC) with exclusive jurisdiction for litigation relating to European patents and European patents with unitary effect (unitary patents). The Court hears cases regarding infringement and revocation proceedings of European patents valid on the territories of those member states. USPTO Registered Attorneys and Agents Search - This index contains contact information for attorneys and agents with licenses to practice before the U.S. Patent and Trademark Office. There are over 6,800 active agents and over 21,900 active attorneys. World Intellectual Property Organization (WIPO): Patents - WIPO's digital library of informatin on patents. FindLaw Small Business: Intellectual Property - Practical and legal tips on registering and using copyrights, patents, and trademarks. Global Brand Database - This tool makes it easier to search over 640,000 records relating to internationally protected trademarks, appellations of origin and armorial bearings, flags and other state emblems as well as the names, abbreviations and emblems of intergovernmental organizations. The Global Brand Database allows free of charge, simultaneous brand-related searches across multiple collections. Noncompete Agreements - Noncompete agreements protect employers from losing valuable trade secrets and employees. Here's how to make such an agreement hold up in court. Nondisclosure Agreements - Learn the best way for a business to protect its trade secrets. From Nolo. Trade Secret and Copyright Basics - Backgrounder by Bruce E. Methven of Methven & Associates. Trade Secrets & Nondisclosure - Articles and information from Nolo. Trade Secret Basics FAQ - Questions and answers that explain what business owners should know about trade secret law. From Nolo. Trade Secrets Home Page - Mark Halligan's guide to the law of trade secrets. Uniform Trade Secrets Act - Drafted by the National Conference of Commissioners on Uniform State Laws, as amended 1985. Also see Wikipedia article. All About Trademarks - Site dedicated to trademarks, and trademark law. Coalition to Advance the Protection of Sports Logos (CPS) - Advocates and supporters of enforcement of tradmark rights of its membership., including The Collegiate Licensing Company, Major League Baseball Properties, Inc., NBA Properties, Inc., NFL Properties LLC, and NHL Enterpises, L.P. Customer List Held to be Trade Secret - Backgrounder to Morlife, Inc., v. Lloyd Perry, et al. (1997) 56 Cal.App.4th 1514, 66 Cal.Rptr.2d 731. Findlaw Trademark Index - Trademark resources, journals, law and government documents, agencies, mailing lists, news. LSU Libraries: Patent and Trademark Resources - Directory of patent and trademark resources, invention marketing fraud, technology transfer, journals and organizations. Markmonitor - Offers companies a complete suite of real-time online brand protection tools in combination with comprehensive monthly reports that highlight brand misuse occuring anywhere on the Internet. Nolo Encyclopedia: Patent, Copyright & Trademark Center - Nolo information on trademarks. Trademark Blog - Martin Schwimmer's blog covering trademark issues. Trademark Electronic Search System (TESS) - USPTO trademark database. TESS contains more than 3 million pending, registered and dead federal trademarks. Trademark Goods & Services Index - Taken from the Trademark Manual of Examining Procedure (TMEP), Second Edition, April 1993. Trademark Law - A discussion of trademark law from BitLaw. Trademark Law: An Overview - U.S. state and federal materials, international materials, and other resources maintained by Cornell Law School. Trademark Manual of Examining Procedure (TMEP) - This Manual is published to provide trademark examining attorneys in the Patent and Trademark Office, trademark registration applicants, and attorneys and representatives for trademark registration applicants, with a reference work on the practices and procedures relative to prosecution of applications to register marks in the Patent and Trademark Office. Trademark Applications and Registrations Retrieval (TARR) - From this page, you may retrieve information about pending and registered trademarks obtained from the USPTO's internal database by simply entering a valid trademark serial number or registration number. Trademark Law - From Nolo. U.S. Patent and Trademark Office (USPTO): Trademark Information - Through the registration of trademarks the USPTO assists businesses in protecting their investments, promotes goods and services, and safeguards consumers against confusion and deception in the marketplace. UK Patent Office (Intellectual Property Office) - Responsible for intellectual property (copyright, designs, patents and trademarks) in the UK. Also see, United States Patent & Trademark Office Forms. USPTO Design Search Code Manual - The design search code is a numerical classification index which codifies design figurative elements into categories, the most general classification, divisions, subsets of categories, and sections, subsets of divisions. The design search code is the equivalent of a filing system for paper records, such as, the system in use in the Trademark Search Room. Uniform Domain Name Dispute Resolution Policy Database (UDRP-DB) - Search tool for domain name dispute decisions resolved under the ICANN UDRP. Such decisions are posted on the Web but access to them has been inefficient. Tools provided here help complainants, respondents, their counsel, panelists, providers, and members of the public who are concerned with the rights of domain name holders and trademark owners. United States Trademark Act - At Cornell Law School's LII. Also, 1999 Amendments to the Trademark Act [.pdf]. USPTO Trademark Trial and Appeal Board (TTAB) - A body within the United States Patent and Trademark Office (USPTO) responsible for hearing and deciding certain kinds of cases involving trademarks. These include appeals from decisions by USPTO Examiners denying registration of marks, and opposition proceedings filed against trademark applications. TTAB panels hear hundreds of claims each year asserting that trademarks should not be registered because they are generic, disparging, or confusingly similar to existing marks. This webpage last updated on Monday, July 31, 2017 3:52 PM.